Chippewa Valley author Nickolas Butler has once again been honored for his best-selling debut novel, Shotgun Lovesongs. The book, which weaves a tale of old friends nearing middle age in a small Wisconsin town, was selected as the Literary Award winner for 2015 by the Wisconsin Library Association’s Literary Arts Committee. According to the WLA, the award is given for the “highest literary achievement by a Wisconsin author” for a book published in 2014. “The Awards Committee appreciated the characters’ flaws and depth and the novel’s multiple points of view, each adding another layer to the story,” the WLA noted. “Mr. Butler’s excellent descriptions bring both the setting and the people into focus for readers. This is a novel that lingers in the readers’ mind, with big thematic moments but not artificial melodrama.” (Butler –whose latest work is a short story collection, Beneath the Bonfire – also received the 2015 UW-Whitewater Chancellor’s Regional Literary Award earlier this spring.) 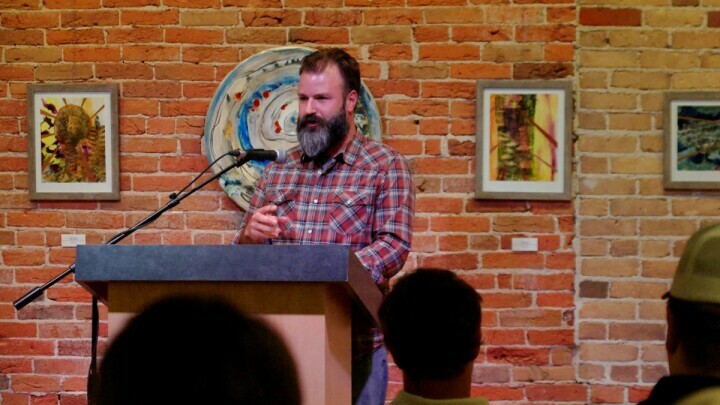 Meanwhile, the WLA honored Eau Claire author John Hildebrand two times over: Hildebrand was one of three scribes designated as a Notable Wisconsin Author, and his essay collection The Heart of Things: A Midwestern Almanac was among 10 books on the WLA’s Outstanding Achievement list for 2014. 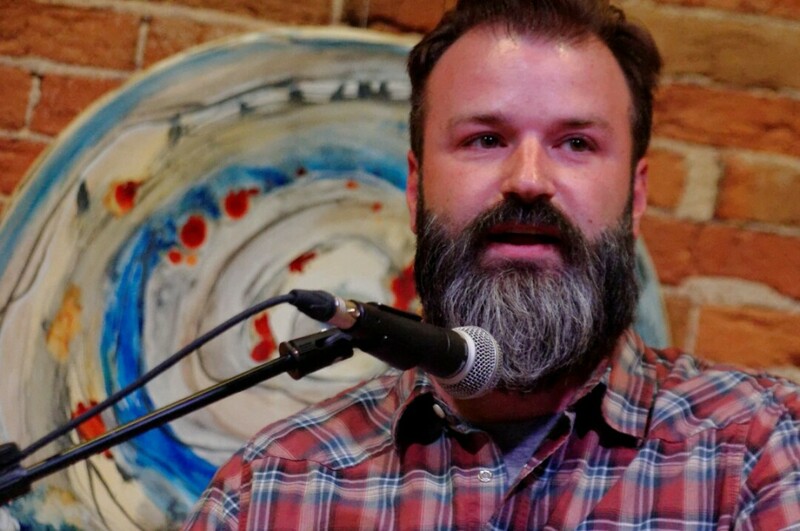 Local author Nickolas Butler stopped by the Local Store on Monday, March 10 to read from and sign copies of his debut novel, "Shotgun Lovesongs." Butler is an Eau Claire native, and his first book has received national attention from media outlets, major publishers, and film studios.